TAMPA, Fla. – Massapequa Soccer Club, based in Long Island, New York, is the newest member of the Super Y League’s North Atlantic Division and will begin play in the 2019 season. Founded in 1970, Massapequa Soccer Club’s primary goal is to develop its younger players with an eye on preparation for the different levels of match conditions. The club wants to continue to preserve the passion for the game for players and families while providing a platform for future success at the high school and college levels. 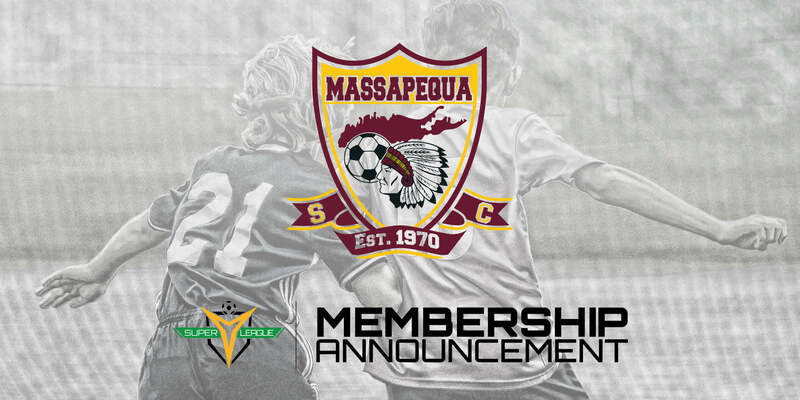 Massapequa SC is the first announced new member of the 2019 North Atlantic Division. Additional high-performing clubs in the region, as well as across the country, are set to be revealed as members by the Super Y League in the coming weeks and months. To stay up-to-date with Massapequa SC, follow the club on Twitter or visit www.massapequasc.com. A part of United Soccer Leagues, LLC, which also operates the United Soccer League, a new third-division professional league and the Premier Development League, the Super Y League features a summer platform with an annual North American Championship in December.